The Ukrainian Airsoft Bundeswehr Reenactment Coalition, “a group of airsoft enthusiasts and airsoft teams of reenactors and MilSim players, reenacting the units of the Bundeswehr”, has started a petition for airsoft manufacturers to develop and release replicas of weaponry and equipment used by the Bundeswehr. 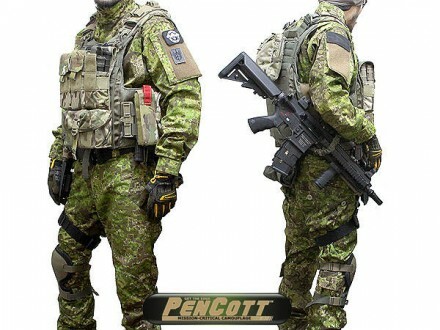 Such weaponry includes: the HK P8, HK MG4, MG3, HK G28, HK69; equipment includes: ELNO H295A headset, SEM52SL personal radio, and Thales LUCIE NVG helmet mount. 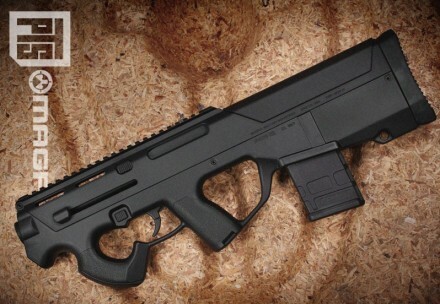 The PDR-C AEG will soon be released as part of the Magpul PTS line. 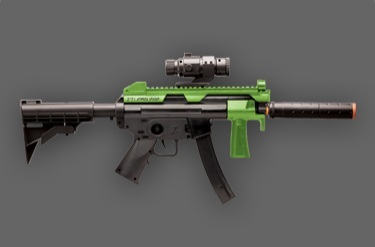 It’s constructed from reinforced polymer and features a custom hybrid gearbox with 8mm bearings, and a muzzle velocity of 350 FPS with the use of 0.2g 6mm BBs. For logistical reasons, the PDR-C AEG is designed for use with both PTS AEG PMAGs and AEG NATO-standard USGI-style magazines. Other specifications include a length of 18~20″, a weight of 3~4 lbs., three fire modes (safe/semi/full auto), front-wired Tamiya mini type plug (no battery included – 8.4V suggested), 11.5″ carbine barrel, M1913A Spec picatinny top rail, fully ambidextrous design, integrated light option, and single point sling mount. 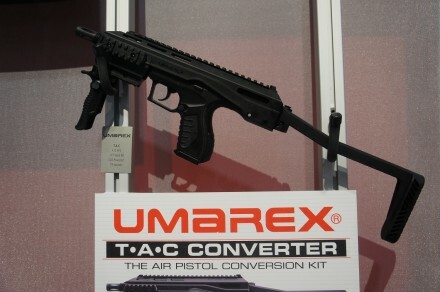 The Umarex T.A.C. is an air pistol that converts into a carbine using the included frame. It’s chambered for .177 caliber pellets with a 19-shot capacity and is powered by a single 12g CO2 capsule housed in the grip. With a 4.25″ barrel the T.A.C. is capable of a velocity of 410 FPS. 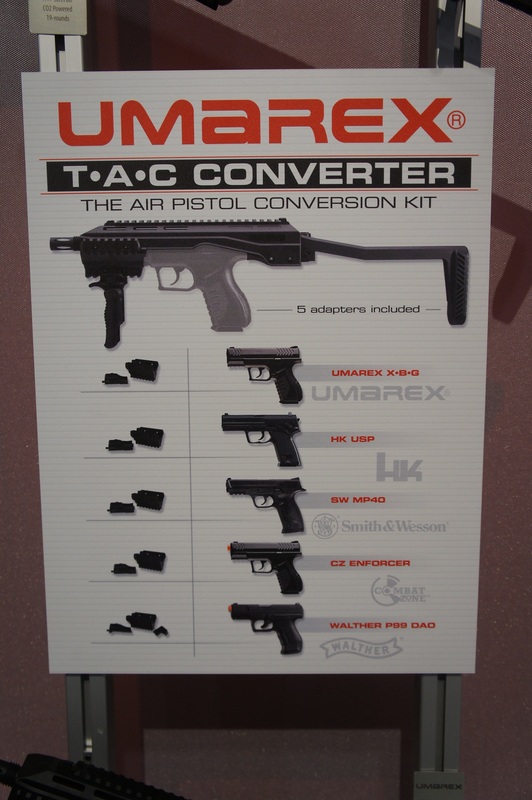 In addition, with the use of adapters, the HK USP (Airsoft & BB), SW MP40 BB, Umarex XBG, Combat Zone Enforcer, and Walther P99 DAO Airsoft can use the T.A.C. carbine frame. 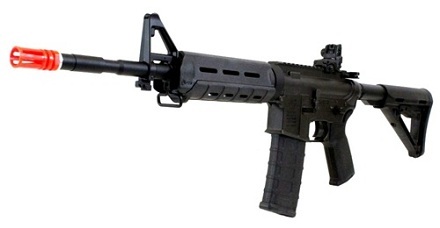 Ignite BlackOps is a line of professional grade airsoft guns and accessories. According to the tip giver, they’re comparable in quality to APS brand airsoft guns; sounds very promising. They’re also available at Walmart, so one shouldn’t have too much trouble grabbing one, if one were so inclined. Major thanks to Colton S. for the tip! Manufactured by G&P, the Stoner U.S. Navy MK23 LMG is an airsoft replica of the Stoner 63 adopted by the U.S. Navy SEALs during Vietnam. 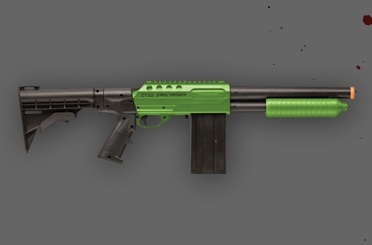 Quality wise, this is one impressive piece, with the body, outer barrel, heat shield, sights, magazine cage and trigger made of metal; the furniture is polymer. The internals are based on a Version 2 gearbox with 8mm bearings run by a G&P M120 High Speed motor. The gun features a 1200 round box magazine powered by a 9 volt battery, with an auto wind switch integrated with the trigger. 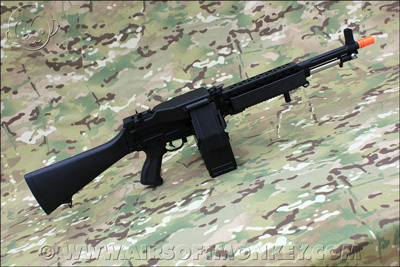 Due to the gun’s inclusion in the CoD: Black Ops armory, and it being an alternative to airsoft M60s for use in Vietnam scenarios, I’m sure this’ll sell pretty well among enthusiasts. 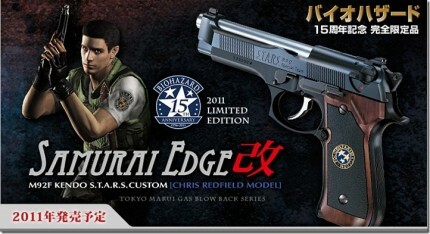 To coincide with the 15th anniversary of the video game series Resident Evil (known as Biohazard in Japan), Tokyo Mauri will be releasing the 2011 Biohazard 15th Anniversary Samurai Edge M92F Kendo S.T.A.R.S Custom [Chris Redfield model]. 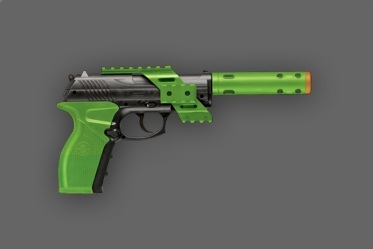 It’s a gas blowback operated airsoft pistol detailed exactly as the titular character’s own Samurai Edge was in the remake of the first Resident Evil and will retail for approximately $250. RE fanboys rejoice! You can order yours from airsoftextreme.com. 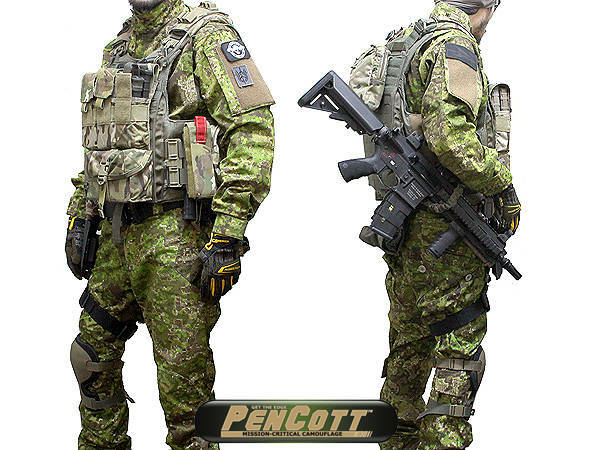 Youtube user drewolf has a series of videos dealing with the airsoft and paintball industry. This particular video shows how to use MOLLE, the Magpul PTS Masada ACR made by ARES Airsoft, and a photo shoot of Full Clip products. It’s almost time for the second annual North Atlantic Airsoft Expo. Located in High Point, North Carolina, it will be held from March 4-6. The event will include appearances from airsoft manufacturers, retailers, event coordinators, state organizations, and organized teams. There will also be symposiums on airsoft training for both law enforcement and home defense. 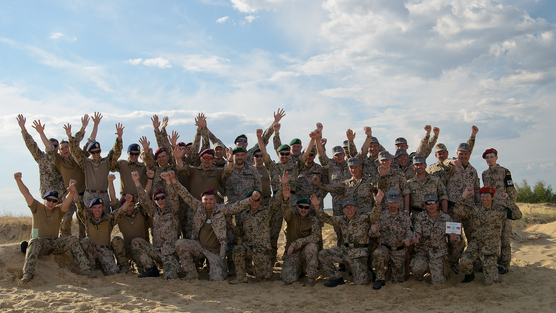 Airsoft is becoming increasingly popular, for both training and entertainment, so this is definitely an expo worth attending. Yet another video by ‘freddiew’ that seems to be somewhat of a sequel to his earlier Chrono Trigger vid. For a recap, he mostly uses special effects such as green screens and editing software along with airsoft weapons to achieve the desired results. It’s always cool to see what you can come up with using modern software.